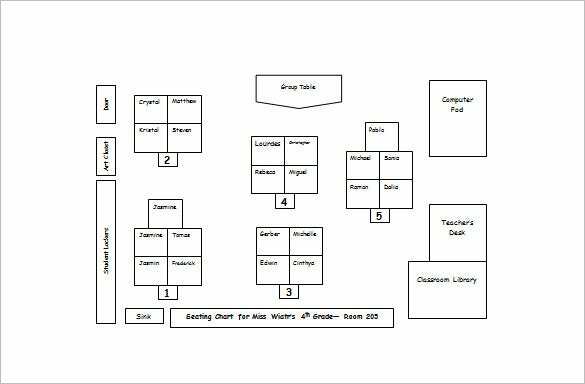 Classroom Seating Chart Template – 10+ Free Sample, Example, Format Download! 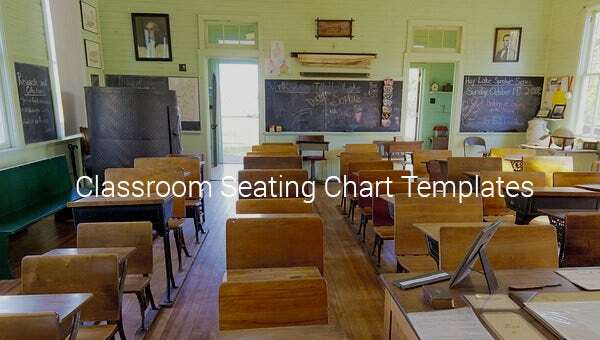 The classroom seating chart for high school represents classes in high school. Each box in the sample is desk and the name inside the box should sit at that position. 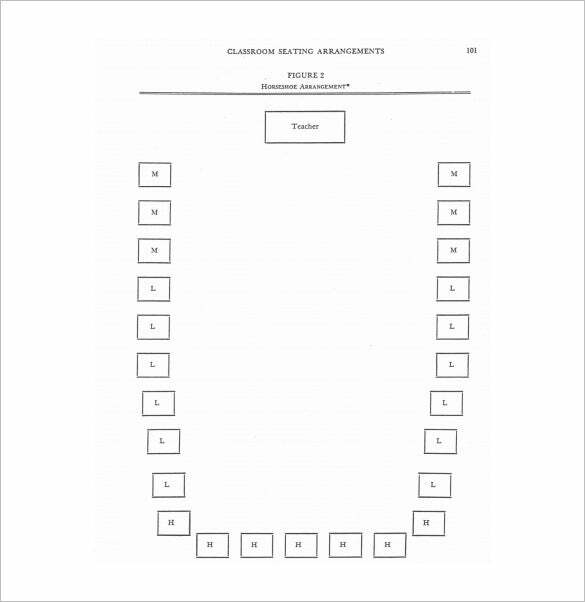 manchester.edu | The PDF template for classroom management seating provides ample information about the seating arrangements of the class. It also helps assigning tables to students of management class for effective learning. 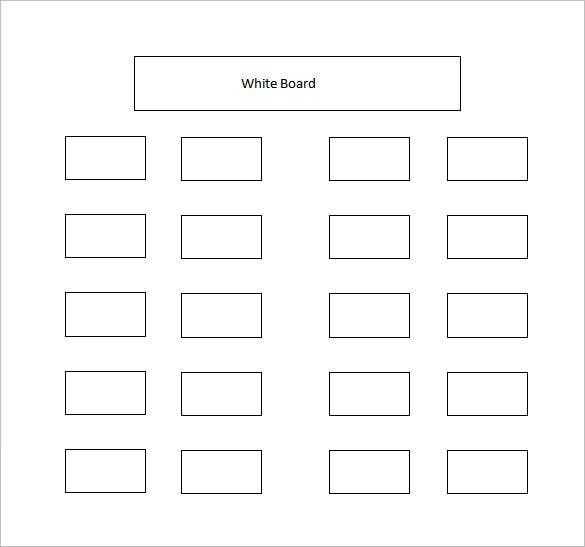 teacherspayteachers.com | The seating group chart template shows how to assign tables to particular groups. The groups are assigned tables according to their group size so that they can work on their group project properly. 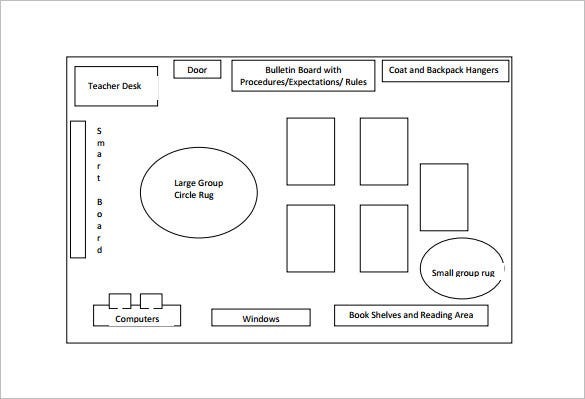 The editable classroom seating chart is a simple chart that can be used to show any type of class. Small boxes denote the tables in the classes which can be assigned to particular student. ilearn.marist.edu | This is a cute and smart inclusive classroom format template. 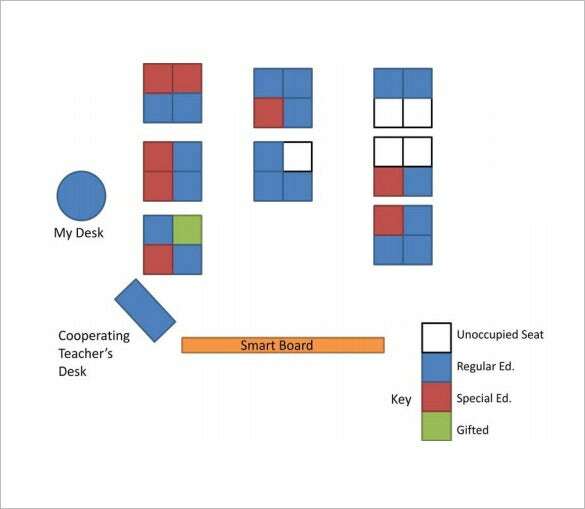 It includes placement data for everything like teacher’s desk, smart board, unoccupied seat and so on. The different aspects of the room are denoted by different colors. 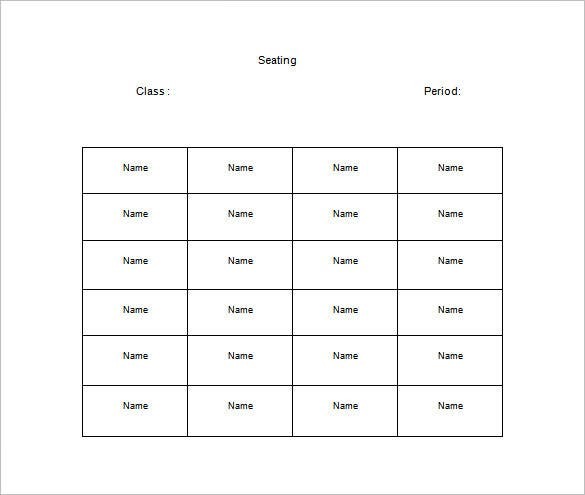 The seating classroom chart for two classes is a simple chart which contains two tables consisting of cells to accommodate the name of the students. 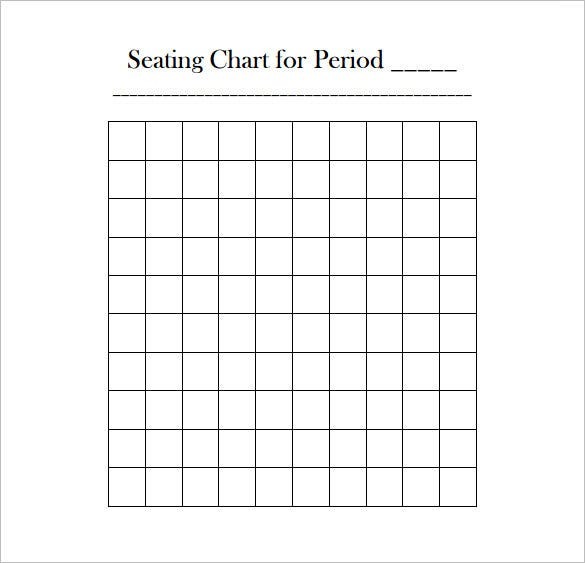 Using this chart one can make seating arrangements of two classes together. 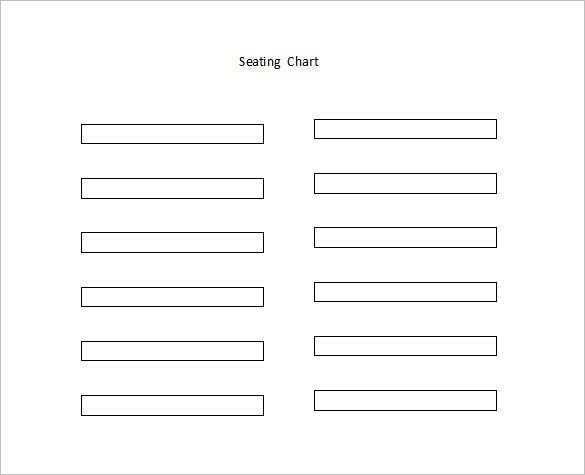 The chart template for classroom is a simple chart that is used to create a seating arrangement. The student names are written in the table cells which depicts their seats in the classroom. 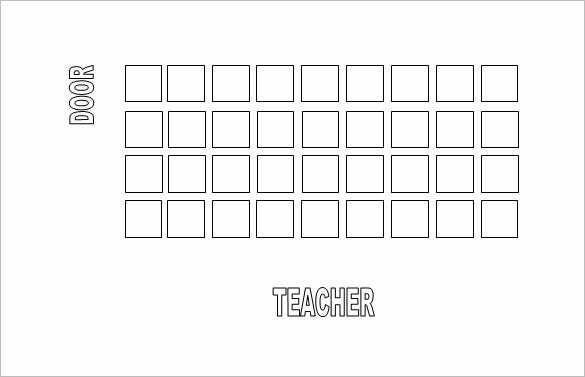 A classroom seating chart template sample could signify placement of students on alphabetical order, on teacher’s choice and sometimes as per student’s choice. 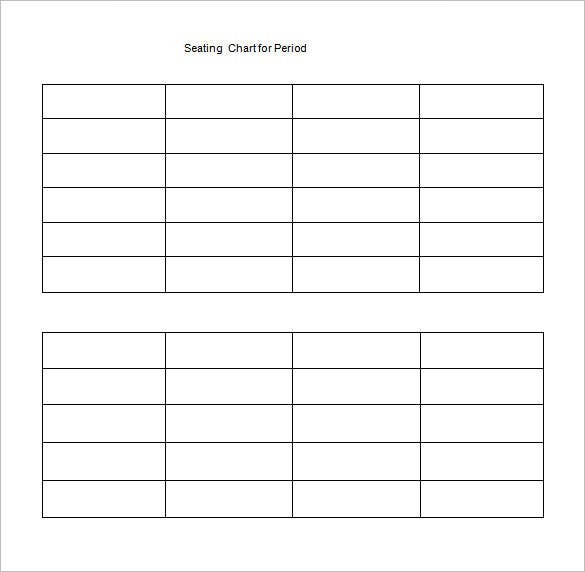 It is especially helpful of Chart Templates when you have special-need kids in your class and your preferred seating arrangement could help you to keep a close watch on him.